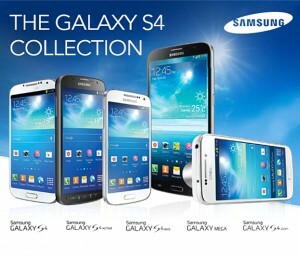 Samsung said ‘whatever your lifestyle there’s a Galaxy smartphone to suit it’. Samsung Galaxy S4 – Share screens with friends, browse each others files, music and games, and for frequent travellers, speak or text what you want to say, and the device will say or text it back, translated! Control it without touching it with Air Gesture. 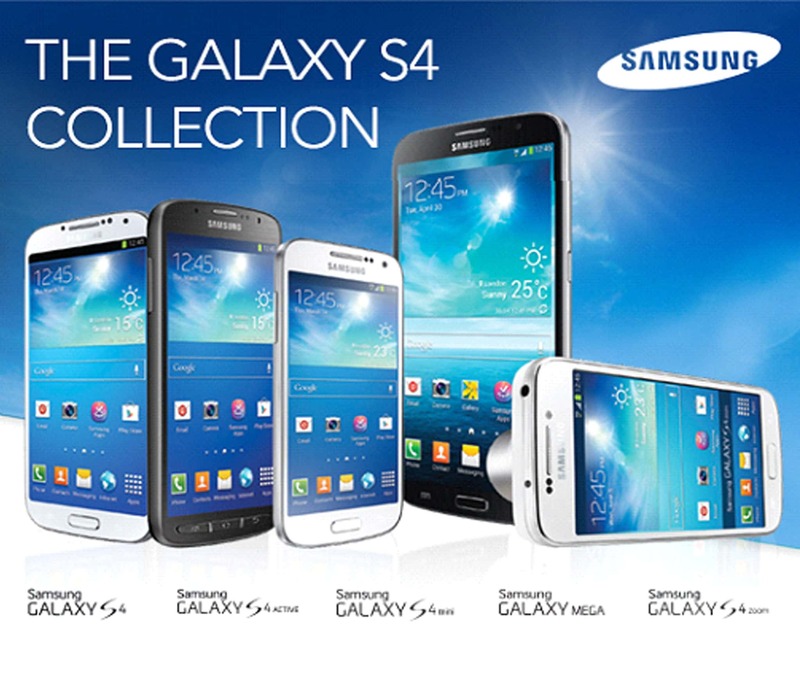 Samsung Galaxy S4 Mini – A compact and discreet size, but big on the latest smartphone technology and features. Panoramic shots and the ability to add sound to images before sharing. Group play allows you to share your music and photos on multiple devices. Samsung Galaxy Mega – Combines the portability and convenience of a smartphone with the multitasking capabilities of a tablet. Ultra-thin and lightweight, with a huge 6.3” LCD screen, perfect for movie watching. Samsung Galaxy S4 Active – 100% Dustproof and waterproof, (it can shoot under water in ‘Aqua Mode’), its ideal for people who like to get out and about. 5” TFT Scratch resistant screen with Corning Gorilla Glass. GPS tracking and a 2600mAh battery to last all day. Samsung Galaxy S4 Zoom – In addition to the latest S4 technology, ‘The world’s first smartphone with a 10x Optical zoom’, with 16 Mega-Pixel Sensor, setting a new standard for smartphone photography. Capture close up or far away images. To find out more, call us on 01264 336644. Although every effort has been made to ensure the accuracy of the material contained in this website, complete accuracy cannot be guaranteed. For full details and technical specification, please refer to the manufacturer’s website.